Excellent review. 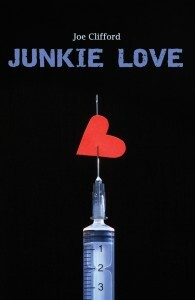 I am just finishing JUNKIE LIVE. I know how you feel about the story, it is vey peronal. You wrote about the story and Joe Cliford beautifully. Great job!! Do you have the interview on mp3? What is the podcast site? Mark, if you click on “click here” at the end, it’ll take you to our site, you can either stream the show or download the mp3.